Can the magic of a small town Christmas convince her that love is worth the risk? Deputy Cale Matthews was planning to skip Christmas, until a quiet newcomer makes him rethink everything. Willow is clearly hiding something, but she’s also beautiful, courageous, and in desperate need of hope. It doesn’t take long for Cale to decide he wants more than just friendship, but Willow’s been hurt too often to trust easily. With the help of a meddling matchmaker and a little mistletoe, will Cale be able to convince Willow to take a chance on love, or will the shadows of her past tear them apart forever? Two wounded hearts haunted by the same tragedy… Will they get a second chance at love? For Rory Ellis, life is pretty much perfect. 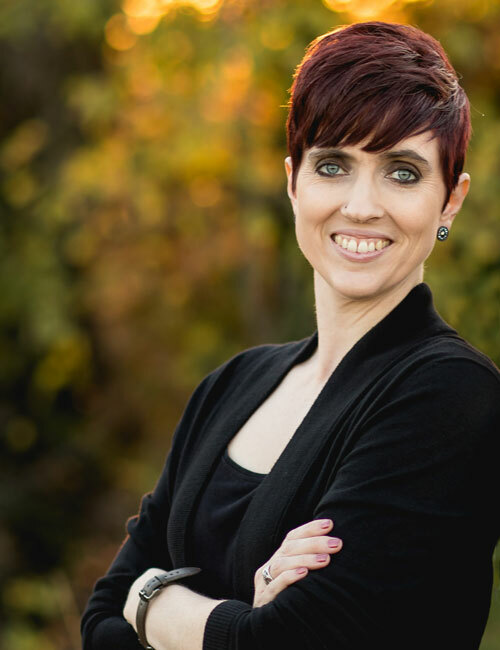 She’s a confident, successful business owner with a career she loves, two adorable little boys, and a family home filled with happy memories. At least, that’s what she wants everyone in her hometown of Echo Creek to believe. But Rory’s past has been anything but perfect. When her house burns down—nearly taking the life of a teenage girl—the aftermath threatens to expose secrets she thought were buried forever. Haunted by guilt, Rory can’t seem to move on, let alone rebuild her life and provide a new home for her two young sons. Not when she’s surrounded by reminders of everything she’s lost and everything she’ll never have—like gorgeous rancher Jake Cunningham. Jake knows what it’s like to live with guilt over circumstances he can’t change. He also knows he should stay away from the beautiful owner of Echo Creek’s coffee shop, but he can’t seem to help himself. Especially not when Rory is homeless, hurting, and in need of help she isn’t willing to ask for. Both Jake and Rory are searching for redemption, but they have a history too complicated to ignore. Can these two broken hearts find refuge in each others arms? Or will the past they’ve tried so hard to forget conspire to keep them apart forever? Sign up to get occasional updates and be the first to hear about new releases. 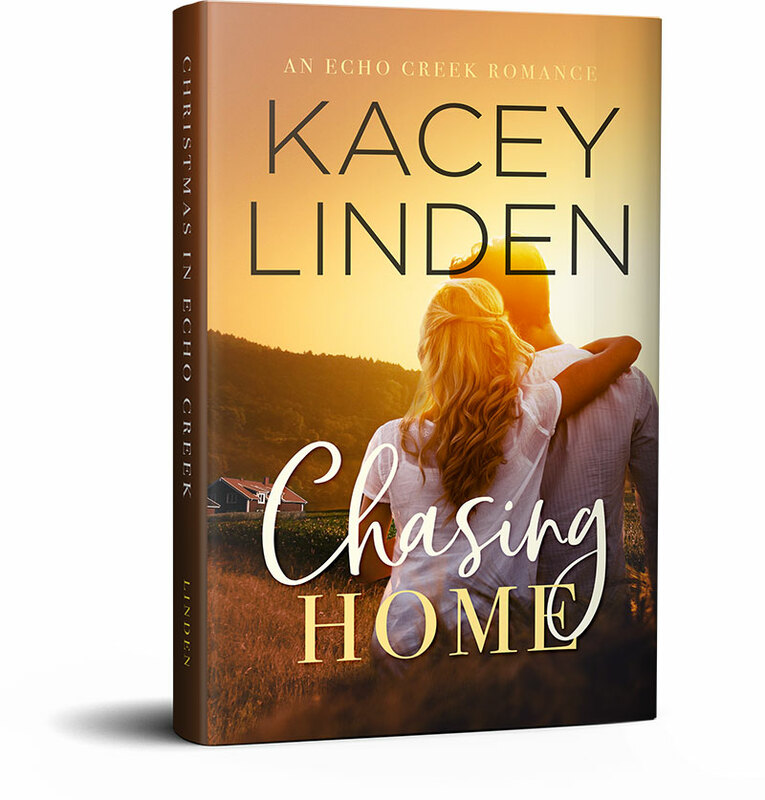 Kacey Linden is a coffee-fueled romance author from Oklahoma. She grew up in the Pacific Northwest, and still misses the trees, the mountains, and yes, even the rain. 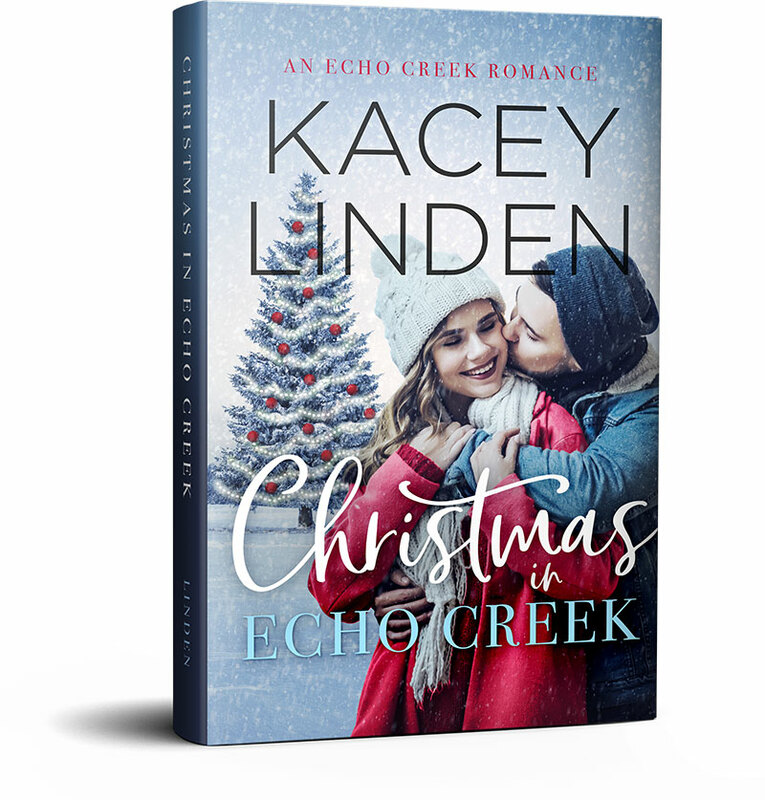 She believes in the power of a good story, and loves the holidays almost as much as she loves horses, kind-hearted heroes and happily-ever-afters. When she’s not dreaming up her next romance, you’ll probably find Kacey reading, baking, or enjoying the outdoors with her family. Kacey also writes fantasy and science fiction under the name Kenley Davidson.